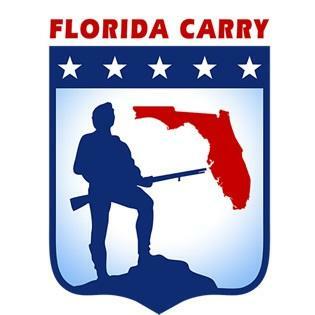 In what judges described as a first-of-its-kind case, an appeals court Wednesday upheld a Florida law that prevents people from openly carrying firearms, finding that the restriction does not violate constitutional rights to bear arms. The ruling by a three-judge panel of the 4th District Court of Appeal stemmed from the 2012 arrest in Fort Pierce of Dale Norman, who was openly carrying a gun in a holster. A jury found Norman guilty of a second-degree misdemeanor charge, leading to the appeal on constitutional grounds. 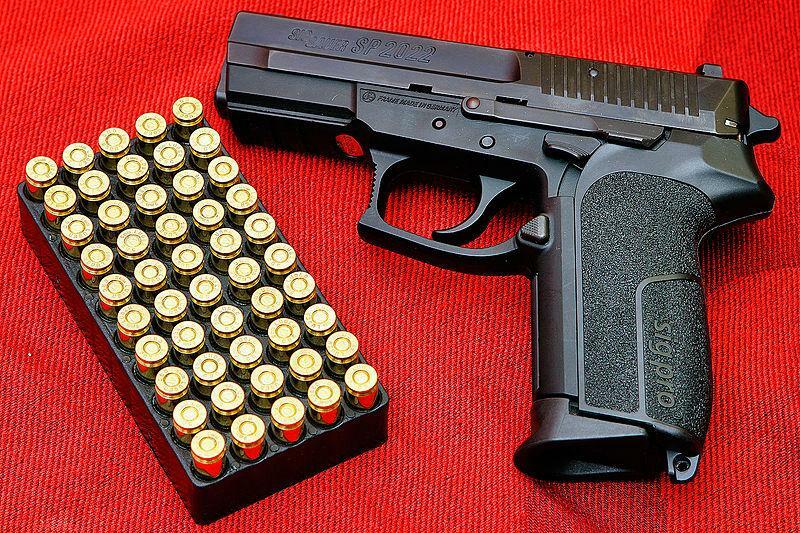 The appeals court said the state law does not "destroy the core right of self-defense enshrined in the Second Amendment" and in part of the Florida Constitution that guarantees the right to keep and bear arms. Also it pointed to the ability of people to get concealed-weapons permits. "Florida’s requirements to obtain a permit for concealed carry are not so burdensome, or so onerous, as to make the ability to obtain a permit illusory,'' said the 27-page ruling, written by Judge Mark Klingensmith and joined by judges Melanie May and Cory Ciklin. "Nor can it be said that these requirements, unlike those found in other (state) jurisdictions, make the right to carry a weapon in public a virtual nullity." The ruling described the case as presenting a question of "first impression" about whether the Second Amendment forbids the state from banning the open carrying of firearms while allowing people to carry concealed weapons under a permitting system. In legal terms, a question of "first impression" indicates a first-of-its-kind decision. Norman's attorneys last year filed a lengthy brief arguing that the ban on openly carrying weapons violated the federal and state constitutions and was overly broad. "The state cannot ban open carry,'' said the brief, which also traced the history of gun laws in Florida. "It is the core of the right to bear arms. When every court to consider the issue has ruled that concealed carry is a privilege, and if you accept that there is a right to bear arms as the plain language states, there is only one manner in which firearms can be borne in the exercise of the right — openly." The brief said Norman, then 24, was arrested Feb. 19, 2012, after a concerned citizen spotted him with a gun on his hip and called police. Norman had been issued a concealed-weapons permit days before. In its ruling, the appeals court emphasized the role of the Florida Constitution, which it said, "unlike the U.S. Constitution, explicitly states that the manner in which guns are borne can be regulated." "In fact, no controlling authority has been presented to this court for the proposition that the Legislature may not impose some restrictions and conditions on either the method or manner that lawful arms may be carried outside the home,'' the ruling said. "In fact, the plain wording of the Florida Constitution provides explicit support for the state’s position that it may regulate the open carry of firearms." The court also noted that Norman could legally carry the gun in a concealed fashion. 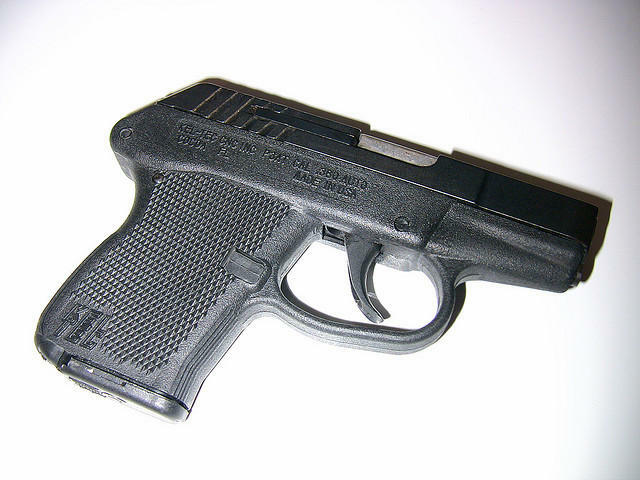 "(The) defendant was not prohibited from obtaining a concealed weapons permit — indeed, he possessed one at the time of his arrest,'' the ruling said. "Likewise, (the) defendant did not argue that he was somehow precluded from the ability to lawfully carry his weapon in a concealed fashion. He was able to lawfully possess his firearm, albeit while concealed, for self-defense purposes as recognized by the Second Amendment, the Florida Constitution, and Florida statutes. The course of conduct he chose, that of openly carrying his firearm for protection, was not the only option available to him to exercise his rights." 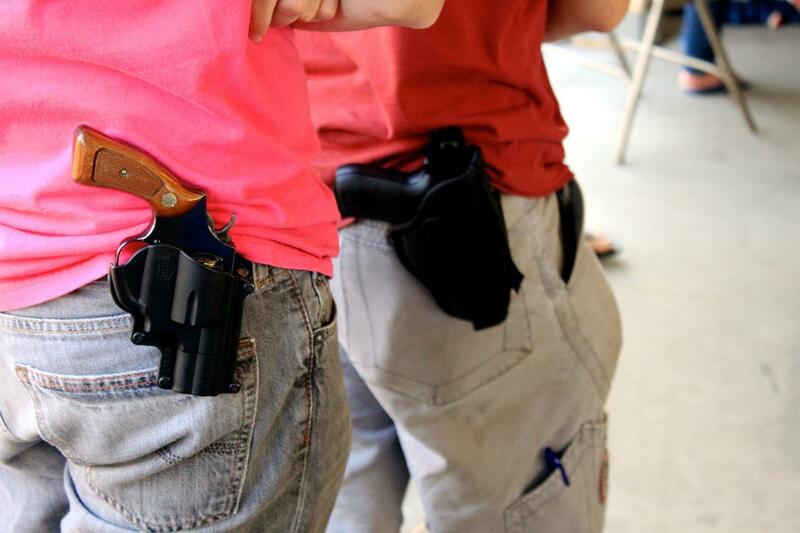 Photo credit: "Open carry at a Free State Project" by Lucio Eastman is used under CC BY 2.0 . Florida's university system wants state lawmakers to holster the idea of allowing guns on campus. A joint statement from the university system's Board of Governors, university police chiefs and the 12 public universities expresses opposition to a legislative proposal (SB 176 and HB 4005) that would allow people with concealed-firearms licenses to carry guns at state colleges and universities. TALLAHASSEE (The News Service of Florida) — Military veterans or retired law-enforcement officers with concealed weapons permits and special training could be designated to bring guns into elementary, middle and high schools under a proposal moving through the Florida Legislature.